Compilation of Male actors who has large influence in Malaysian movies and Drama. Do you agree with me ? 1. Farid Kamil - If you constantly looking at Mr. Farid Kamil, you will fall in love with his good looking apperance. So, don look at him especially ladies. He is one of the male actor in these movies Hantu Gangster, Evolusi KL Drift 1 and 2, Lagenda Budak setan. Besides, He got a good acting skill in "Kongsi"
2. Awal Ashaari - You will never know him if you never been to his Ashaari Facebook. He has 1.6 million fans in his Facebook account up to date Noveember 2013. A successful actor, TV host and model. - TV Host at Beat TV at Astor Ria channel , newsreader at 8TV channel for Twenty Hundred news. 3. Syamsul Yusof - He has the same talent as his father. His father is a giant film company one of the owner heavily influence Syamsul in his career. Although born in a family that has everything materially, his father always challenging his son to see potential and ability lie inside. In Social Media, He has 200 thousands fans in Twitter account. -Actor or Director in Gangster Celop, KL Gangster and KL Gangster2, Aku bukan tomboy. 4. Fahrin Ahmad - A TV host and movie actor. Successfully acquired many TV programme as a TV host in Astro and TV channels. Made his name popular and famous through various variety TV programme. A few brightest TV host in Malaysia. 5. 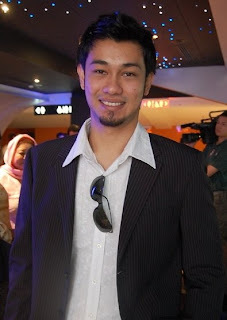 Shaheizy Sam - Made his name in following movies, "Bohsia Jangan pilih jalan hitam" and "Adnan Sempit" . He also made few appearances in TV series such as " Jangan Pandang Belakang", "Kasanova XXL". His name is recorded inside prominent movie website IMDB and also has few advertisements on Youtube platform on October 2013. In Social Media Twitter account, He has over 1 Million fans currently following him since November 2013. Just Behind Awal Ashaari. - Born in September 1982. - Actor in Malaysia movie as "Kongsi", "Evolusi KL Drift 2", "Nongkrong". 6. Adi Putra - He is a Singaporean and married with Aida Yusof. He has been actor in few successful movies such as "Langgar", "KL Gangster", "KL Gangster 2", "Hanyut". Besides, few TV series appearance such as "Sehangat Asmara", "Teduhan Kasih". 7. Aaron Aziz - Another celebrity holding Singapore nationality. He is very well known in Singapore and Malaysia. He won most popular male actor in the movie and drama "Adam dan Hawa", "KL Gangster", "Ombak Rindu", "KL gangster". - His most successful film "Ombak Rindu"